Emmett A. Betts’ career as an educator and theorist in the teaching of reading began in the 1920s, a time when both psychology and the hard sciences established themselves as essential factors in education. Betts began his teaching career in 1922 as a director of industrial arts and agriculture in Orient, Iowa. He also served as superintendent of schools in Northboro, Iowa. In 1925, he became a school psychologist and principal in Shaker Heights, Ohio. There he brought his psychological training to bear on the development of the Betts Ready to Read Tests, which were designed to determine the preparedness of young children to read. In 1934 Betts was named director of teacher education at State Teacher’s College in Oswego, New York, and pursued research in reading instruction as the head of the college’s reading clinic. It was at this time that he conducted his first weeklong national institute on reading, which he continued to provide at various locations until 1963. Appointed a research professor and director of the reading clinic at Pennsylvania State University in 1937, he continued his study of visual readiness for reading and developed a series of courses leading to advanced degrees in reading education. Betts always placed heavy emphasis on laboratory demonstrations and a clinical approach to reading instruction while stressing the psychology of the reading process. In 1945 Betts became professor of psychology at Temple University and founded the reading clinic in the university’s department of psychology. During his tenure at Temple, he was instrumental in helping to organize the International Council for the Improvement of Reading Instruction (which later became the International Reading Association). At the same time, he was beginning his inquiry into word perception and the psychological processing of graphic symbols. In 1954 Betts opened the Betts Reading Clinic in Haverford, Pennsylvania, and directed its operations until 1961, when he became professor of education at the University of Miami, Coral Gables, Florida. At this university Betts worked to enhance the doctoral program in reading and in psychology and to establish a research center for a multidisciplinary approach to the study of reading processes. 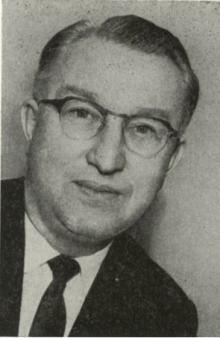 Besides being one of the most prolific of contributors to educational journals throughout his career, having published in excess of 1,300 papers and articles, and an editor for many years of Highlights for Children and My Weekly Reader, Betts is also known for such books as Prevention and Correction of Reading Difficulties (1936), Visual Problems of School Children (1941), and Foundations of Reading Instruction (1957). Betts placed primary emphasis on the visual and physiological aspects of reading and did much to bring scientific and psychological methodology to the teaching of reading. As director of various university reading clinics, he worked to expand laboratory and research facilities to bring greater professionalism to schools and education. He is probably best known for his insistence on the need for gearing reading instruction to the needs and the reading levels of particular students and in overcoming what he called the “vicious tendency in the schools to do little about individual differences” (Betts, Everett, & Rodewald, 1936, p. 89). The idea of informal reading inventories came to Betts in the 1920s when he was working on his master’s thesis on students’ solving of long division problems. Betts used many of the ideas brought forth from his research into the development of the informal reading inventory (IRI), and by 1935 this method was already being used in his reading clinic. Prior to his death in 1987, Betts commented on the main purpose of the IRI, which he believed to be a means to train teachers to be perceptive about student reading behavior (Johns, 1991). This is noteworthy because, according to Betts, 40 percent of students are expected to read books that are too difficult. His devising of informal reading inventories to help determine reading levels, especially an appropriate instructional level for each student, has perhaps been his most important contribution to reading education.